Surrounded by her loving family at Park Lane Terrace, Paris, on Thursday, September 13, 2018. Hazel (nee Mason) of Burford, in her 93rd year. 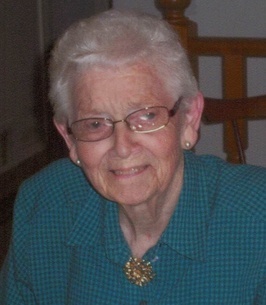 Beloved wife of the late Leslie Bowman (1999). Loving mother of Joyce & Randy Brooks, Lois Christiaens & Wayne Garnham. Cherished granny of Sherri, Matthew, Robyn, Jackie, Kevin, Laura and Leah. Dear great-granny of 15 grandchildren. Also survived by brother Ross & Vera Mason and 4 sister-in-laws. Predeceased by son Larry Bowman (1998). Hazel will be sadly missed by many family and friends. We encourage you to share any memorable photos or stories about Hazel . All tributes placed on and purchased through this memorial website will remain on in perpetuity for future generations. In loving memory of my Aunt Hazel. My condolences to the family - she was a very special lady.